Thousands of junior rugby participants will be flooding through the gates this Vodafone Super Rugby season with all Australian teams granting them free access to their home games. This will be the first season all four Australian Super Rugby teams have offered the incentive which gives our youngest fans the opportunity to watch our biggest stars from the sidelines. Each team’s offer varies with their own perks for members. The Melbourne Rebels are offering all registered junior players aged 18 and under free access to all home games at AAMI Park whilst seniors will be granted a free pass to two home games. Melbourne Rebels CEO Baden Stephenson said: ‘’The Rebels have been an incredible vehicle for participation growth in Victoria with a 106% increase since their inception. ‘’It is only through nurturing the grassroots and supporting the next generation that we will ensure the long-term success of our Club,’’ said Stephenson. The Queensland Reds look forward to welcoming thousands of registered Queensland junior club players aged 17 and under into Suncorp Stadium when accompanied by a paying parent. Queensland Rugby Union CEO David Hanham said: “This initiative recognises the contribution of kids who play and their parents who are on the sideline at every junior training session. ”It’s important that we inspire our youngest fans through allowing them to get behind their Reds’ heroes at our Super Rugby home games,” said Hanham. The Brumbies will once again accommodate for registered players aged 18 and under as well as offering senior registered players four free flexible home game passes. Brumbies CEO Phil Thomson said: “This initiative is a fantastic way to introduce young players to the club and to Super Rugby. Many aspire to reach the elite level and our players are their role models. “We are a proud community at the Brumbies, and we are delighted to help facilitate Super Rugby access to our junior membership,” said Thomson. The NSW Waratahs will once again provide all junior players aged 16 and under with a season-free pass which has proven to be a huge success in recent years. NSW Waratahs CEO Andrew Hore said: “Providing New South Wales junior rugby participants the opportunity to see their NSW Waratahs up close and in action has been a key priority for us and that is why for more than five years we have offered junior registered players free entry to Waratahs home games. “We look forward to welcoming them all back this year as we take our home games across the State including to Brookvale, Newcastle, SCG and Parramatta,’’ said Hore. The Super Rugby season kicks off tonight when the Brumbies take on the Melbourne Rebels on home turf at GIO Stadium. Tomorrow night, the NSW Waratahs will open their season against the Hurricanes at Brookvale Oval in Sydney. 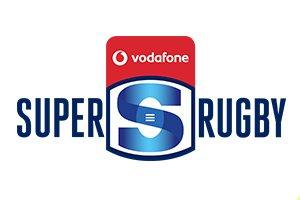 Every Vodafone Super Rugby match will be broadcast live on Fox Sports Australia and streamed live on Kayo Sports while Network Ten will broadcast a full replay of one Australian Vodafone Super Rugby match each Sunday morning at 8am AEDT on ONE.